It can sometimes be hard getting and keeping hydrated skin, especially in colder, windier weather. Why not look for a beauty product with Hyaluronic Acid, and let this wonder ingredient do the hard work for you? 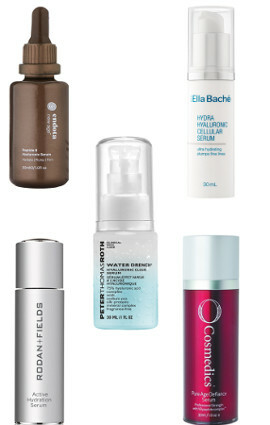 Why is Hyaluronic Acid so good, and why do so many beauty companies use it? Hyaluronic Acid is found naturally in your skin and joints, although you will find less and less of it produced naturally as we age. Its benefits, in a nutshell, are that it helps retain collagen, and it can attract up to 1,000 times its own weight in water, meaning it draws moisture into your skin from the surrounding air, and binds this moisture to your skin, resulting in hydrated, plumper skin, and minimised fine lines and wrinkles. The good news is Hyaluronic Acid can be found in different types of types of beauty products, across both skincare and makeup, and despite having “acid” in the name, it’s really very gentle. 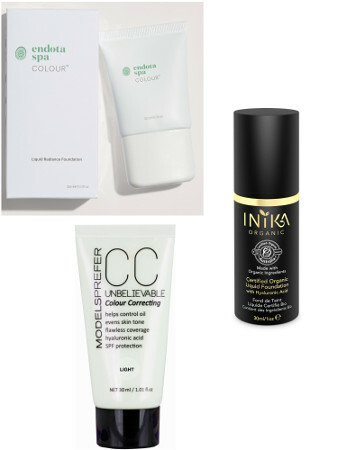 If you are looking for products containing Hyaluronic Acid, some of our favourites are listed below. Just a note, Hyaluronic Acid is sometimes listed as Sodium Hyaluronate in the product ingredients. The benefit of using a Cleanser with Hyaluronic Acid is it will be highly moisturising, and less likely to leave your skin tight and dry after you use it. The addition of Hyaluronic Acid in a Cleanser will help draw water and moisture into your skin, and is well worth looking at if you have dry or dehydrated skin. Some of our favourites are Nutrimetics Restore Foaming Cleansing Lotion, which cleanses your skin, removing impurities, makeup and excess oils, whilst the Hyaluronic Acid protects your skins moisture levels, so your skin is not left taught or dry. 200ml RRP $48.00. Glo Skin Beauty Conditioning Milk Cleanser is a light, cleansing milk formula that gently washes away impurities while delivering antioxidants to soothe and protect dry skin. Added emollients and skin-strengthening ingredients nourish and condition your skin, leaving it feeling supple, balanced and soft. 180ml RRP $45.00. If you have dry or dehydrated skin, or if it’s Winter, a Serum with Hyaluronic Acid is always a good idea. As Serums are lighter than Moisturisers (read an article we did on this subject here), they are able to penetrate deeper into your skin, and can be more effective at re-hydrating your skin (both a Serum and Moisturiser used in conjunction is best for hydrated skin). We’ve added a Serum with Hyaluronic Acid to our skincare regime, and it’s made a huge difference to skin hydration. Some of our favourite Hyaluronic Acid Serums are Endota Spa New Age Peptide 8 Hyaluronic Serum, which contains sodium hyaluronate, which delivers intense moisture to your skin, while it plumps and smooths, resulting in less visible lines and wrinkles. 30ml RRP $180.00. Rodan + Fields Active Hydration Serum with Hyaluronic Acid cross-linked with Glycerin is super hydrating, and gives your skin a moisture boost of up to 200%, and keeps it there for up to 8 hours. The clever formula self-adjusts to your skins moisture needs to ensure it is always hydrated. 30ml RRP $148.00. Peter Thomas Roth Water Drench Hyaluronic Cloud Serum is enriched with 75 percent Hyaluronic Acid Complex, to keep your skin super-hydrated for longer, and replenishes the look of ageing skin, leaving skin looking radiant and smooth. 30ml RRP $89.00. Ella Bache Hydra Hyaluronic Cellular Serum contains Hyaluronic Acid in a medium mollecular weight so it can penetrate deeper into your skin, for hydrated, toned, radiant skin. Moisture is retained deep within your skin for longer term hydration. 30ml RRP $90.00. O Cosmedics Pure Age Defiance Serum does as the name says. Concentrated doses of pure L-Sodium Hyaluronate, combined with V8 Peptide complex, multivitamins and a natural skin tightener, this powerful Serum leaves your skin hydrated, radiant, refreshed and restored. 30ml RRP $92.00. As a Moisturisers main function is to moisturise your skin (and seal in any moisture already there, forming a protective barrier), it makes sense to look for a moisturiser with Hyaluronic Acid, to ensure your skin is kept hydrated for as long as possible, along with any other benefits your moisturiser may have. For mature skin concerns, we love Olay Regenerist Micro-Sculpting Cream, with Hyaluronic Acid and an amino-peptide complex helps visibly plump your skin, whilst minimising the appearance of fine lines and wrinkles, and protecting your skins moisture barrier. With an Olay Regenerist Micro-Sculpting product selling every two minutes somewhere in the world (across the entire range), this many women can’t be wrong! 50g RRP $48.99. Lancome Hydra Zen Anti-Stress Moisturising Day Cream soothes sensitive skin, whilst providing it with an intense boost of hydration via the Hyaluronic Acid, to help keep your skin calmer. The end result is smoother, more radiant skin. 50ml RRP $90.00. For intense moisture with strong anti-ageing properties, the new Guinot Hydra Summum is a luxe cream that counteracts the effects of aging and the environment. Hyaluronic Acid plumps and fills dehydration lines, whilst a special complex of ingredients helps boost water penetration from the dermis to the epidermis increases your skins ability to store water, and forms a protective barrier to prevent moisture loss. All of which results in soft, supple, radiant skin. 50ml RRP $162.00. L’Oreal Paris Revitalift Laser X3 Cream with Hyaluronic Acid and Pro-Xylane helps address 3 key signs of aging, by redensifying your skin, correcting wrinkles, and re-supporting your contours. The results after using this cream are similar to using a dermatologic laser, without the downtime. Your skin looks visibly younger. 50ml RRP $44.95. If you are after a luxuriously hydrating Night Cream with extra benefits, try the A’kin Firming Night Cream. Vitamin C, Hyaluronic Acid, Echium Oil and Camu Camu combine to nourish, lift, firm, smooth and plump your skin, and it’s especially developed for mature skin. With all these benefits, it’s lucky you’re getting 8 hours sleep for the cream to do its work! 50ml RRP $46.95. As the skin around our eyes is so thin and delicate, and as this skin contains very few oil glands to produce and retain as much moisture as the rest of your skin, it’s really important to find and use a hydrating eye cream, to minimise fine lines and wrinkles. That’s why we love eye creams with Hyaluronic Acid – the additional hydration is already built in. 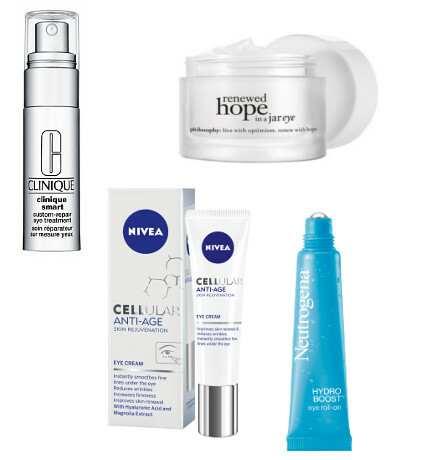 Some of our favourite eye products are: Clinique Smart Custom-Repair Eye Treatment, with Sodium Hyaluronate, targets repair around your eyes, when and where you need it. The clever formula helps brighten the skin around your eyes, contours and firms, and plumps out and helps repair the look of Crows Feet, so it’s great for mature eyes. 15ml RRP $70.00. philosophy Renewed Hope in a Jar Eye is a gorgeous light-as-air whipped cream texture. The formula with Sodium Hyaluronate and Glycerin and Algae extracts help to reduce the look of fine lines, dark circles and puffiness for an energised, youthful appearance. Skin around the eyes appears brighter, tighter and more nourished. 15ml RRP $60.00. Nivea CELLular Anti-Age Eye Cream, with Hyaluronic Acid, Creatine, and Magnolia Extract in a lovely light-weight formula helps replenish moisture and nourish your delicate eye area, plumping the skin and helping to smooth out fine lines. The skin around your eyes is left looking fresher and brighter. 15ml RRP $27.99. Neutrogena Hydra Boost Eye Roll On with Hyaluronic Acid, olive extract and ionic mineral complex helps continuously release intense moisture around the delicate eye area. The rollerball applicator gently massages your skin to help stimulate blood circulation and won’t tug your delicate skin. Your eye area is left looking firmer, brighter, and feeling rejuvenated. 15g RRP $19.99. The primary purpose of a mask is to give your skin (or hair) an intense boost of nourishment and hydration. It’s a little like taking a multi-vitamin to boost the health of your body – the serums and creams will already be doing a fabulous job of hydrating your skin, and the mask will re-enforce the hydration, with an extra burst. 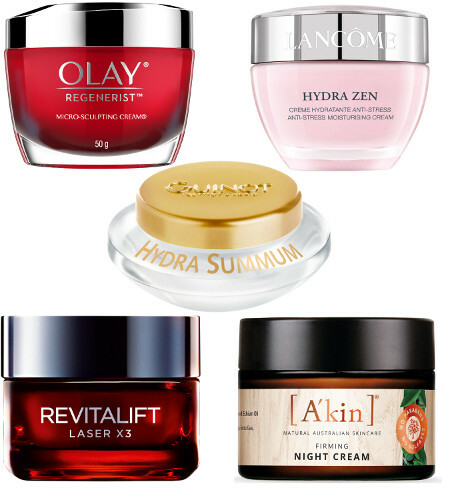 Some of our favourite Hyaluronic Acid Masks do a double duty. We love Dr. LeWinns Line Smoothing Complex High Potency Treatment Mask – a sheet mask with Hyaluronic Acid and Peptides. The mask has multiple benefits, including intense hydration and moisture retention, instant radiance, smoothness, and a feeling of firmness, and anti-wrinkle benefits. Pack of 3 Masks RRP $36.95. 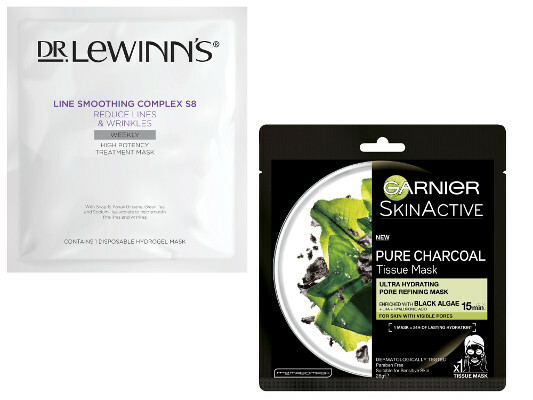 The clever Garnier Skin Active Pure Charcoal Tissue Masks (2 types) actually purify your skin whilst they hydrate. We love the Pure Charcoal Tissue Mask with Black Algae, which, also has Hyaluronic Acid, and it not only leaves your skin beautifully hydrated, it also refines your pores and skin texture at the same time. Single sheet mask RRP $4.95. The skin on our hands can get really dry over Winter. The extra heat when showering, internal heating and external cold and wind can be really tough on hands. Applying hand cream several times a day is a must to keep hands in tip top condition, and to avoid roughness and dryness, and a hand cream with Hyaluronic Acid is a plus as it adds to the hydration of your hands. We love Nutrimetics Ultra Care + Platinum Hand Therapy, which, in addition to the intense hydration provided by the Hyaluronic Acid, also helps to firm and smooth your skin, whilst reducing the appearance of pigmentation and preventing future damage. The formula also helps to strengthen nails. 75ml RRP $42.00. Mavala Switzerland are known for their hand and nail care (as well as some fabulous nail colours – check out the Chilli and Spice Collection), so it’s no surprise they have a fabulous repairing product for super dry, damaged hands. The Mavala Switzerland Repairing Night Cream for Hands is an intensive 30-day treatment for damaged hands. The cream features a concentration of natural ingredients, including Hyaluronic Acid, allantoin, shea butter, and silk amino acids, which work together to revitalise and renew your hands overnight. Simply apply each night for 30 nights, put on the included cotton gloves, and watch your hands improve night by night while you sleep. 70ml (+ gloves) RRP $64.95. Just as your hands tend to get ultra dry over Winter, so too does your body skin (and you can’t apply body lotion several times a day as you can with Hand Cream), so it’s essential to find and apply a nourishing and hydrating body lotion morning and night, to stop your skin drying out. We love Trilogy Firming Body Lotion, which in addition to being highly moisturising, nourishing and replenishing with Hyaluronic Acid, avocado, evening primrose and organic rosehip oils, also helps improve skin elasticity and texture. The non-greasy, fast absorbing lotion will have your skin supple in no time. 200ml RRP $25.95. Skin Physics Superbody Crepe Away targets the look of crepey skin on your décolletage, arms, thighs and legs. It helps lift, tighten and smooth the appearance of crepey skin, boost moisture and elasticity, reduce stretch marks, and slow down transepidermal water loss that causes premature ageing, thanks to ingredients like Stimulhyal, which simulates your body to produce its own Hyaluronic Acid and elastin, quinoa seed extract, snake flower leaf juice, and argan oil. 100ml RRP $79.00. It’s not just skincare that is using Hyaluronic Acid – makeup and cosmetics are getting in on the act too, and adding this wonder ingredient to Foundations and CC Creams (and colour makeup) to increase the level of moisture and hydration in their products. The products tend to cover like makeup, and nourish like skincare. If your skin is on the dry side, and your makeup tends not to look fresh by days end, try these wonders. endota spa Liquid Radiance Foundation is a liquid foundation that offers medium buildable coverage. The lightweight formula instantly hydrates your skin and evens out your complexion, whilst power ingredients kakadu plum and Hyaluronic Acid protect and nourish your skin. Available in 2 shades. 30ml RRP $45.00. INIKA Organic Certified Organic Liquid Foundation with Hyaluronic Acid contains nourishing and hydrating qualities to supply flawless coverage and a radiant finish that lasts all day, whilst increasing skin elasticity. The foundation also contains essentials oils to hydrate your skin, helps prevent flaking and glides on easily plumping your skin. Available in eight shades. The foundation is certified vegan, and cruelty free. 30ml RRP $65.00. If you prefer a lighter coverage, try the Models Prefer CC Cream, combining the nourishment of skincare with the benefits of a colour correcting foundation. The formula is buildable, and is enriched with colour correcting pigments for a truly perfect finish. Sebo-absorbing powders and marine extracts help control any oil for an all-day, shine free finish, whilst Hyaluronic Acid helps to reveal a younger complexion. SPF protection to protects your skin. 30ml RRP $16.99. Just as Hyaluronic Acid is beneficial for your skin, it is also great for your hair helping to keep hair hydrated and nourished. As we mature, and especially as we head through Menopause, our hair tends to thin, and dry out, and it needs extra help to keep it nourished. 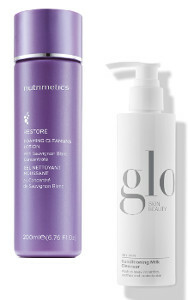 A shampoo and conditioner with Hyaluronic Acid will have you well on the way to fabulous looking hair. We like the Kerastase Densifique range, which contain densifying technologies including Hyaluronic Acid and Intra-Cyclane® to create plump, hydrated locks that strengthen your hair and help to protect against further stress. 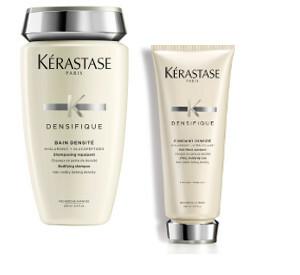 Bain Densite (Shampoo) thickens thinning hair leaving it full and supple. 250ml RRP $44.00, Fondant Densite (Conditioner) weightlessly conditions and replenishes thinning hair leaving it looking fuller. 200ml RRP $50.00. What do you think of Hyaluronic Acid? Will you look for products with this ingredient? Let us know in the comments below.